Beautiful Orchid model home located in the brand new section of Indigo East! 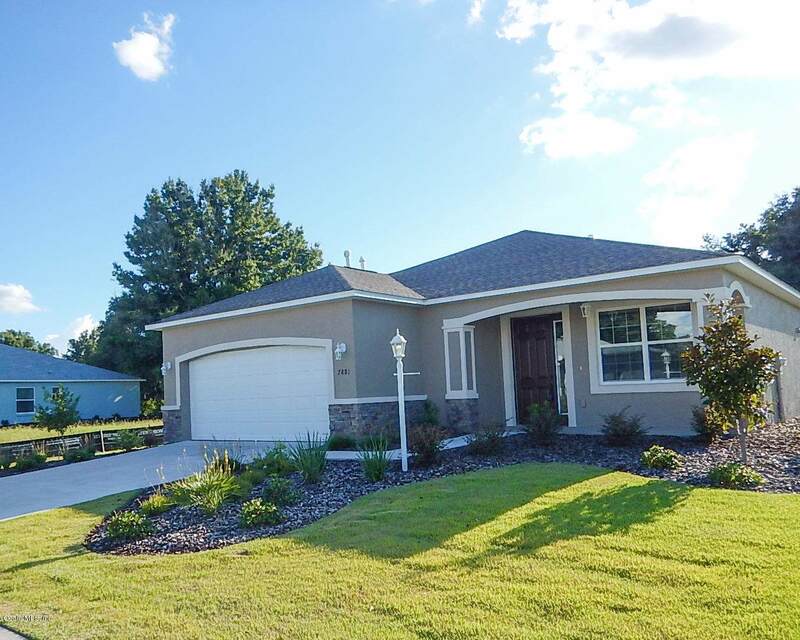 This wonderful inventory home has 3 bedrooms, 2 bathrooms, and a 2 car garage. As you enter into the large living room you can see towards the 2nd and 3rd bedrooms and the 2nd bathroom. The 2nd bathroom has a quartz counter and a shower/bath. The spacious open kitchen features stainless steel appliances, crown molding, tile backsplash, gorgeous cabinets, a large island, 20'' x 20'' ceramic floor tiles. The great room overlooks the covered lanai, all this, perfect for family gatherings and entertaining! 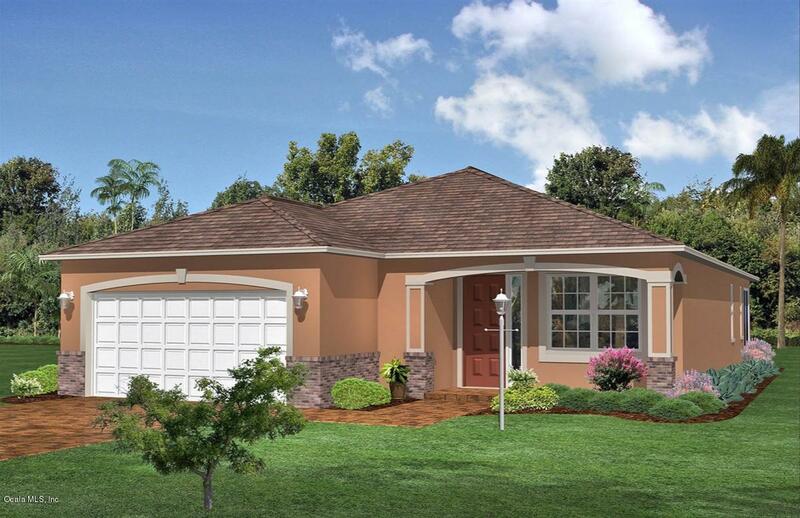 The lovely master suite has a huge walk-in closet and the master bath has quartz counters, a walk-in shower with a seat.Step out on the lanai to relax and enjoy a Florida evening with family and friends! Located in Ocala's premier, active 55+ community, loaded with amenities, including golf cart access to two shopping centers.